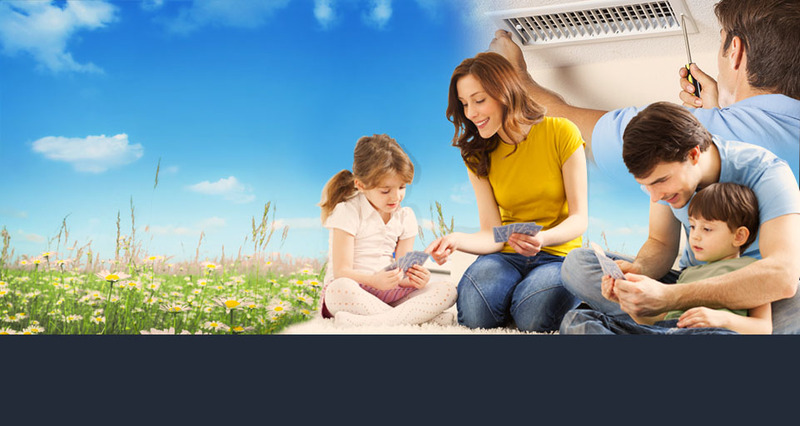 Are you looking for the best service provider for treating your air duct needs? Do you want to get relieved of your worries about the maintenance of dryer vents? It is not a coincidence that many small cities in California have been chosen as ideal destinations for permanent residence and the best environments to raise a family. For tips and tricks about the importance of keeping your air ducts clean, plus answers to many of today’s most frequently asked questions about the air you breathe, take a look at this informative new infographic put together by our air duct cleaning specialists. As a provider of a wide array of cleaning services for air ducts, we strive to deliver the best level of service to our clients. Our trained specialists will do everything within their capabilities to ensure satisfaction among our many clients. 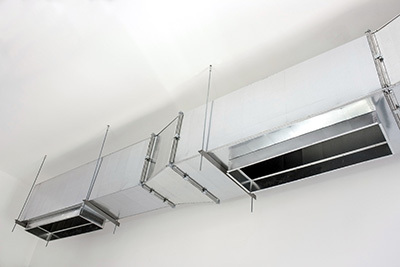 A team of cleaning specialists with extensive knowledge on all things related to air ducts, as well as HVAC filters. The maintenance of your air ducts and HVAC (heating, ventilation and air conditioning) equipment is necessary to keep your indoor air quality high. 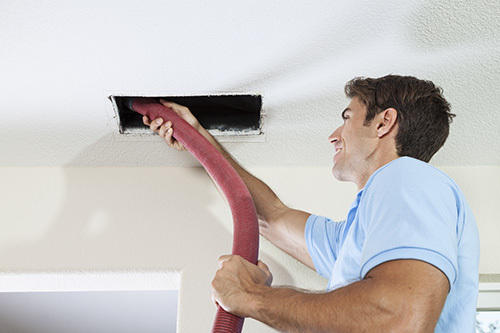 Air Duct Cleaning Pleasanton offers expert assistance and services for your air ducts and HVAC equipment. Dust, dander and other sediments may build up in your systems, leading to reduced air quality. We offer services to clean your and sanitize your air ducts. We use specialized equipment to make cleaning your ducts a quick and easy maneuver. The general rule of thumb is to clean your air ducts once every two years. The geography of your area determines the accuracy of this figure. Proximity to industrial, agricultural and commercial zones may increase the frequency of your air duct cleaning. Our services include cleaning of residential and commercial dryer vents. The clogging of dryer vents results in lower efficiency of your dryer. This translates to longer drying times, costing both time and money. The build up of lint sediments in your dryer exhaust may prevent a fire hazard. In addition, the lint deposits attract rodents and vermin who use the lint as nesting material. We will clean your dryer vents and ensure there are no leaks in the seal of your home. Your home's seal is created by insulation. We inspect, repair and replace damaged insulation. Most leaks in your seal occur around doors, windows and other entry points into your home. Adding insulation to your home can save you hundreds of dollars a year on your heating and cooling bills. We use professional equipment to find the leaks and draughts in your home, and help you decide the best way to fix. We will also check your home for any asbestos insulation. We provide professional asbestos abatement to remove any dangerous asbestos from your home. Do not attempt to remove asbestos on your own. You may inadvertently contaminate your indoor air quality. Air purification systems and ionizers are great ways to keep your indoor air quality high. These items must be serviced periodically to ensure optimal performance. Filters on air purification systems must be cleaned or replaced to ensure proper airflow. Clogged filters and airways reduce the amount of air a purifier can clean per hour. If your air purifier is working harder because of a clogged filter, your indoor air quality will drop, while the cost of running the machine increases. Make cleaning of air purifiers and ionizers a regular priority.Dehumidifiers are part of most HVAC systems, as they remove humidity from the air. The water vapor in your air may settle and collect in cool surroundings. Water that has collected anywhere is an ideal breeding ground for mold and mildew. Molds and mildews create allergens and toxins, which may irritate sensitive individuals. Some molds and mildews are known to create toxins that are harmful to all people, but are odorless and go unnoticed. We ensure your HVAC systems properly void all water outside your home or into a proper drainage system. Clean up any wet spots in your home, and replace any surfaces that have come into contact with molds and mildews. The indoor air quality of your home is one easy way to improve your family's overall health. Air ducts and HVAC equipment need to be serviced regularly to ensure they can properly regulate your air, without costing more money.